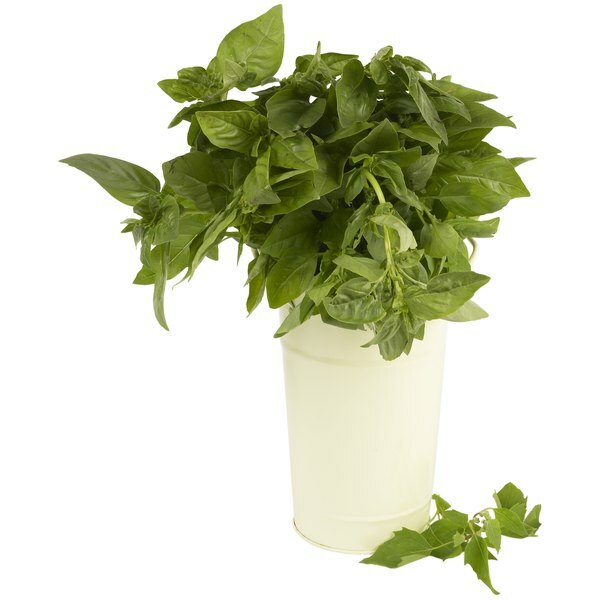 Sweet basil, ocimum basilicum, is variety of basil most commonly used for cooking and tea. Like other members of the mint family, it has a reputation for being soothing, making it a pleasant drink for after meals, according to the Ohio State University Extension. Learning how to use dried basil for basil tea gives you a healthy, caffeine-free beverage. Consult your doctor about any medical condition before trying basil or any other herbal remedy. The word basil derives from the Greek "basilikos," the word for royal. The herb came from India and Asia and spread through the Mediterranean. Basil is a member of the mint family and comes in many flavors, including camphor, cinnamon and lemon. It's an aromatic herb with natural oils and a strong fragrance. Although dried basil gives flavor to foods and tea, it loses a lot of fragrance and will tend to make a weak tea unless you use enough of the dried herb and steep it longer than most teas. In aromatherapy, basil is used to combat mental fatigue. The tea's scent may be part of its soothing effect. Drinking basil tea after a meal may help digestion and alleviate gas, according to the Ohio State University Extension. It's also used to dispel constipation, stomach cramps, headaches and anxiety. In addition to supplying antioxidants, basil was found to be rich in calcium, potassium, magnesium, phosphorus and zinc, according to research published in the November 2007 "Journal of the Science of Food and Agriculture." The Turkish researchers concluded that aromatic herbs are valuable sources of nutrients and minerals. Always consult your doctor about any medical condition, and before using basil or any other herb as a treatment. To make basil tea, use 1 tbsp. of dried basil and pour 1 cup of boiling water over it per serving. Tea from fresh basil calls for twice as much of the herb. Steep the tea for 30 minutes, or to taste. The long brewing time allows the hot water to extract more flavor from the basil. A tea ball, tea basket or a reusable cloth tea bag works well for making basil tea, or you can use a teapot with a strainer. Basil may have a warming effect and help reduce reactions to cold exposure, according to the University of Maryland Medical Center. Don't boil basil to make tea. Boiling it for five minutes reduces the vitamin C content by nearly half, according to researchers from the University of Finland who published their results in 1999 in the book, "Basil: The Genus Ocimum." Talk to your doctor if you have a health problem. Attempting to self-diagnose or self-treat a medical condition can have serious consequences.